Is there any interest payable on default of GST payment within the prescribed time? How does interest on GST late payment work? 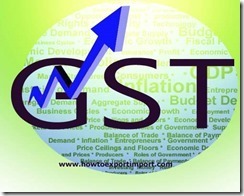 As per GST Law, every person liable to pay tax in accordance with the provisions of the Act or rules made thereunder, who fails to pay the tax or any part thereof to the account of the Central or a State Government within the period prescribed, shall, on his own, for the period for which the tax or any part thereof remains unpaid, pay interest at such rate as may be notified, on the recommendation of the Council, by the Central or a State Government. The interest under sub-section (1) shall be calculated from the first day such tax was due to be paid. (3) In case a taxable person makes an undue or excess claim of input tax credit under sub-section (10) of section 29, he shall be liable to pay interest on such undue or excess claim at the prescribed rate for the period computed in the manner prescribed. Howmany copies of challans for GST tax payment? How to get Certificate of Origin non preferential in Gujarat?